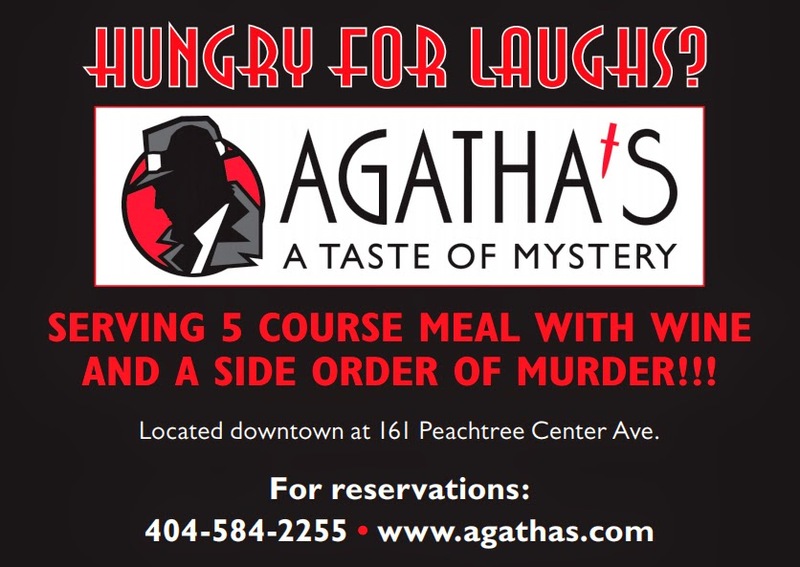 Agatha's - A Taste of Mystery consistently knocks 'em dead! 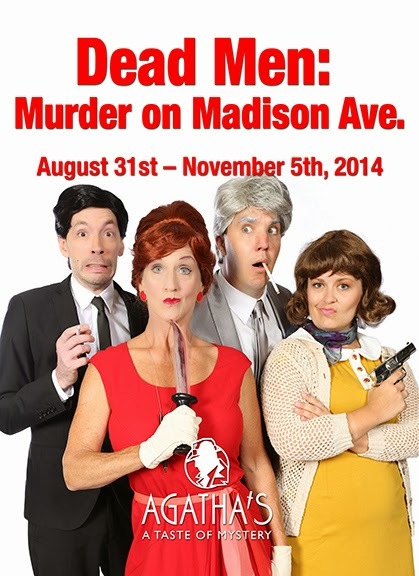 If you're a fan of AMC's Mad Men, you're going to LOVE "Dead Men: Murder on Madison Avenue". Actually—and please don't hold this against me—I've never seen an episode of Mad Men (but it's on my list!) and yet, I LOVED "Dead Men"! And I love Agatha's. I've been a fan of Agatha's - A Taste of Mystery for decades, so I'm embarrassed to admit that I've not been since I moved back to Atlanta. Not for not trying, because they do sell out (reservations are recommended). I was fortunate...they had a last-minute cancellation (don't count on that happening), so they had availability when I recently went without calling first. I have to say, they're still as brilliant as they ever were! And they've always been brilliant. I used to attend every show put on by Agatha's, and for good reason...the shows are so incredibly clever—seriously clever—and entertaining! Every show—and this has been going on for more than 25 years—is written exclusively for Agatha's. So, what you're seeing you're not going to see anywhere else. They're now downtown, and have been for a number of years. When I went before they were at a location across the street not far from The Fox Theatre (you may recall that fact if you're visiting after a number of years or a long-time resident). Now they're only a block off of Peachtree Street, very accessible for visitors staying downtown and they have easy, very affordable parking for people coming in from other areas. The owners are long-time friends, but I'd been out of touch for quite some time and my coming in was unannounced, which made the fun we had all the better...it was real. It was real fun. What you get is dinner and a show...and wine. 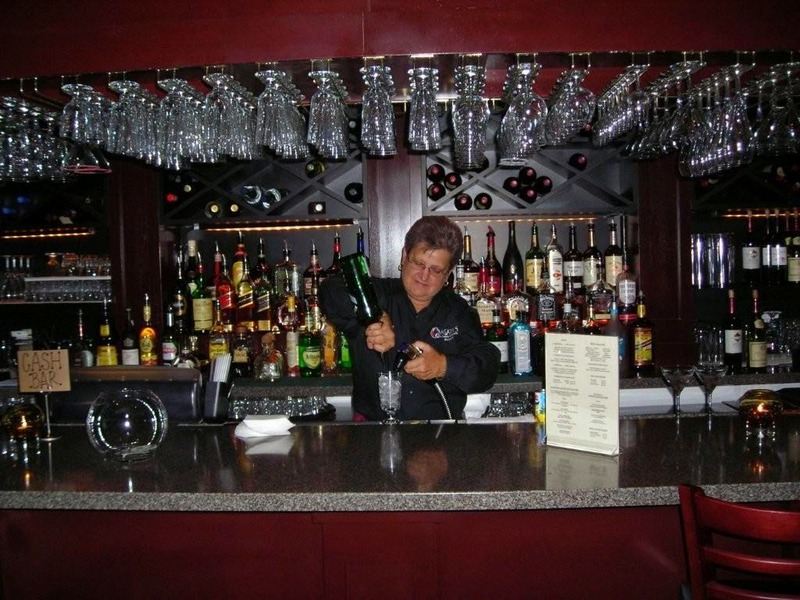 And then there's a full bar! Dinner is five courses, starting with appetizers as soon as you arrive...well, after you go through orientation. You see...everyone is part of the show. That's right. If you've always wanted a stab at performing, this is your big chance! Wait, wait, wait...back to the food. Appetizers upon arrival, then four more courses. That's right...murder mystery and a FIVE course meal. There's a chef's-choice soup, then the salad course with at least a couple of dressing options—there's a complimentary glass of wine with the salad course—then a choice of entree, which features a much wider selection than you'd expect, and dessert! And of course there's the performance, which takes place between each course. Cliff hangers galore! The performers of Dead Men: Murder on Madison Avenue...they're just amazing! Most of my fans know that I don't write "reviews"...I write about the things that I enjoy in Atlanta. But if I did have to review Dead Men, I'd give the performers five stars! Hands down, five stars! It was a simpler time, the late 1950′s. Where men were men, and women ... worked just as hard and got no credit for it. Yup...simple. And one advertising agency ruled the roost, The Silver Copper Agency with their creative director, Don Dripper. He's handsome, smart...and did we mention handsome? Things at the agency have never been better. Until someone kills the boss, and then everything is turned upside down on Don Dripper's perfectly Brill-creamed head! I mentioned that EVERYONE is part of the performance. That's right, everyone is someone. If you're celebrating a birthday or anniversary, you're likely to have a more significant role and if you're of the variety that might experience stage fright, not to worry...stage fright won't kill you! There are ways to participate even if you're on the shy or quite side. The stars of the show will great fun of making you a star! 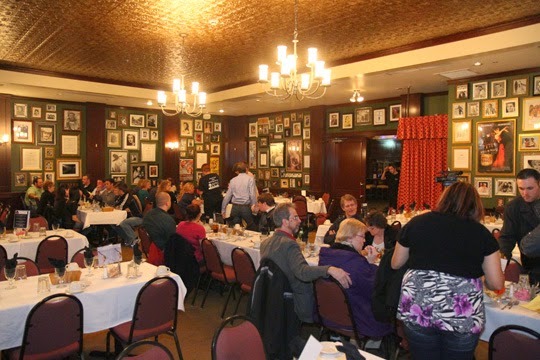 When you're seated, or even before during hors d'oeuvres, introduce yourself to the other mystery dinner theatre-goers...you're going to get to know them no matter what! No, that's not a threat, that's a wonderful promise. On my most recent visit, I met two birthday girls and a delightful couple visiting from Saskatchewan, Canada. 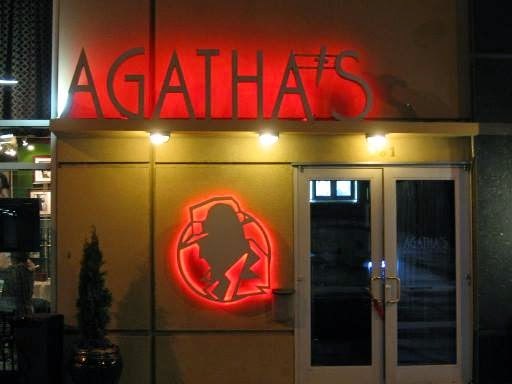 The wife totally wanted to experience Agatha's and the husband was totally reluctant. Turned out, he was the first guest performer and he had a blast! We started talking as soon as we were seated and later in the evening we were making commemorative photos together. Great meeting you! Go, go, go to Agatha's - A Taste of Mystery! And keep going. Dead Men is showing now through Wednesday, November 5. Shortly thereafter is this year's holiday show, The Candy Cane Murders - A Breaking Bad Holiday. It promises to transform the way you look at murder mystery! 10 Reasons to See "Scarecrows in the Garden"